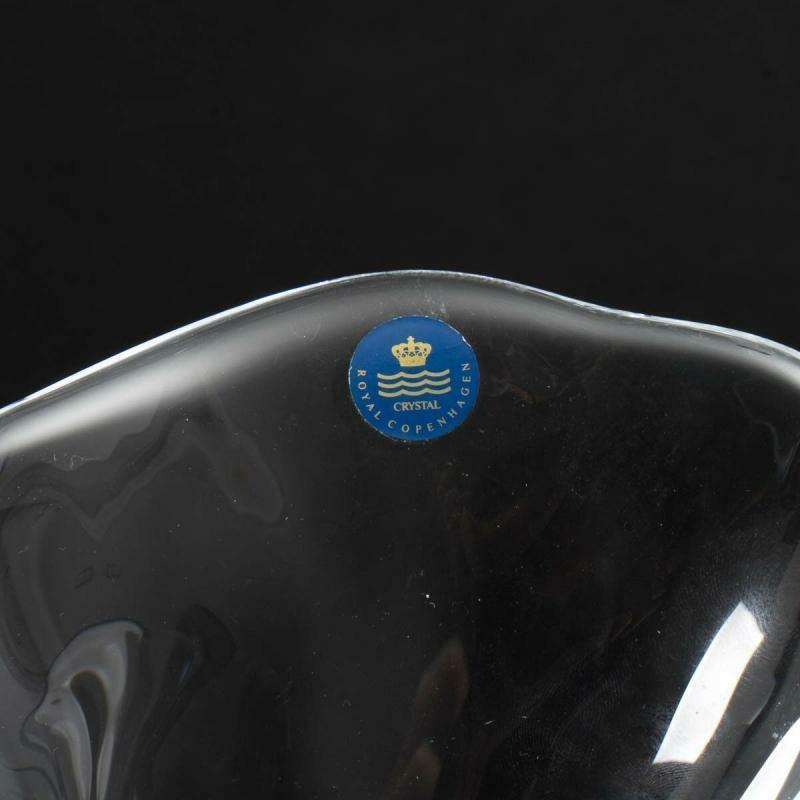 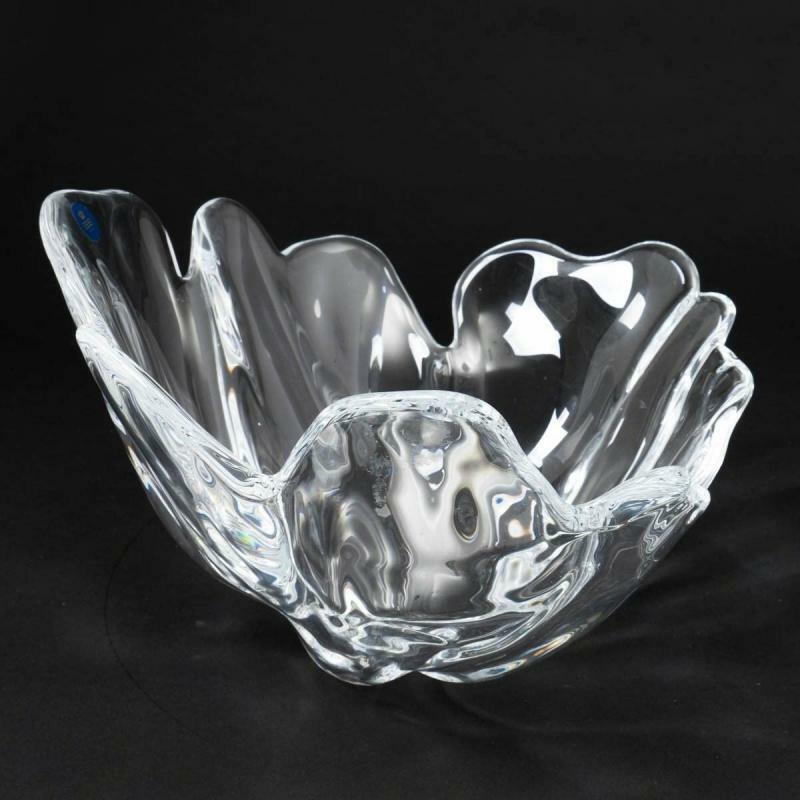 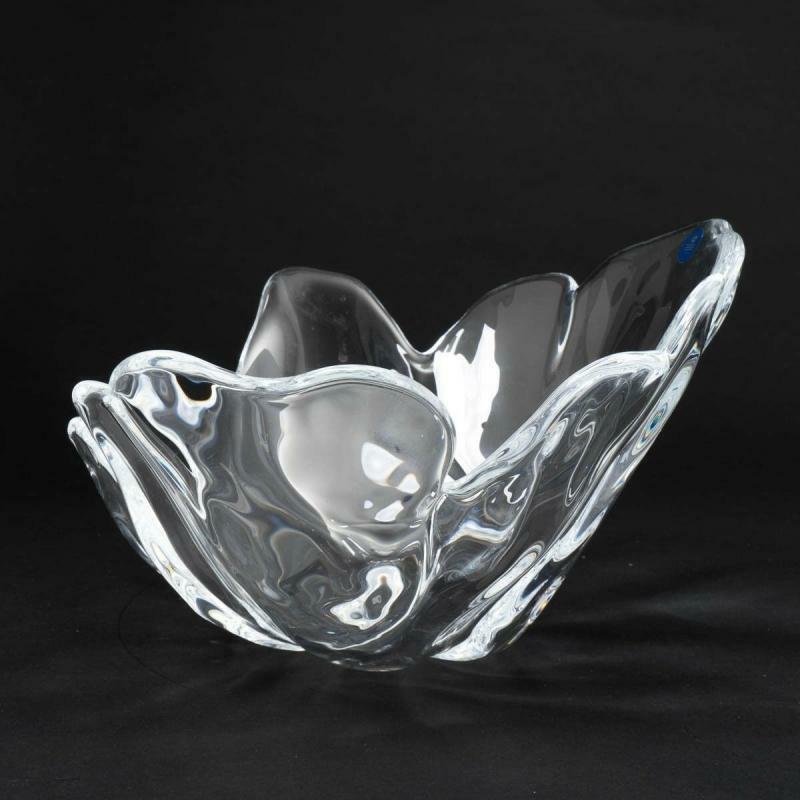 This freeform organic shape crystal bowl produced Lovely Natura crystal bowl designed by Ole Kortzau for Royal Copenhagen Denmark for Royal Copenhagen . 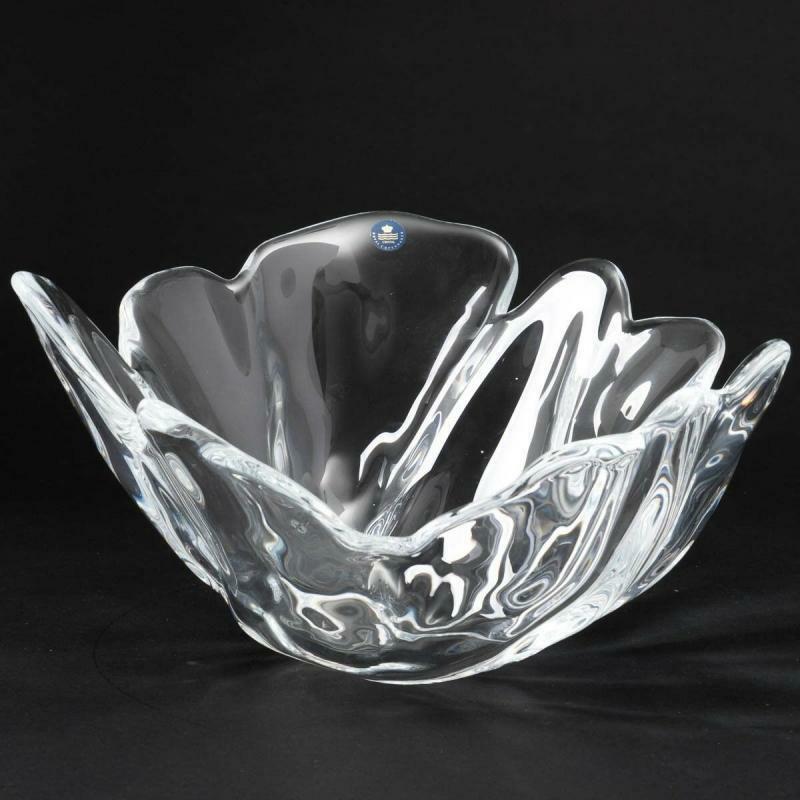 The name Natura reflects the shape. 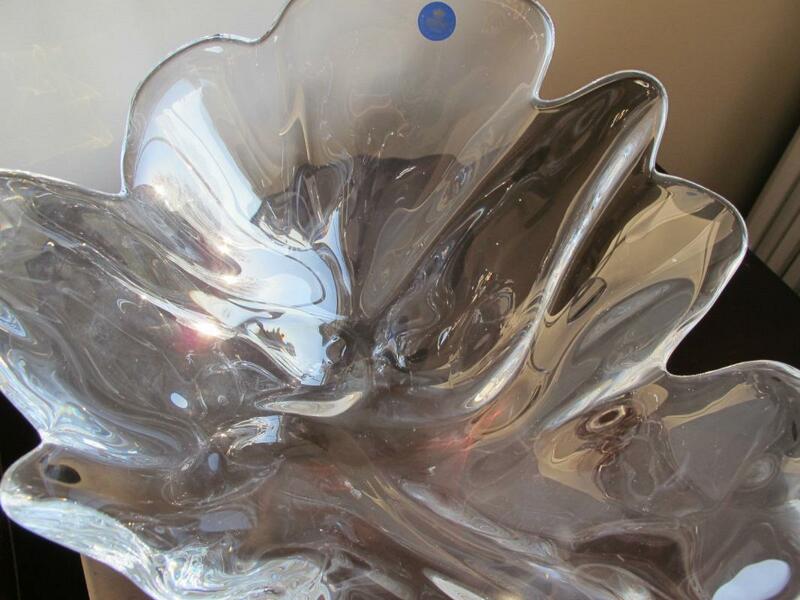 It does not have a foot ring but stands on the coming together of the lobes. 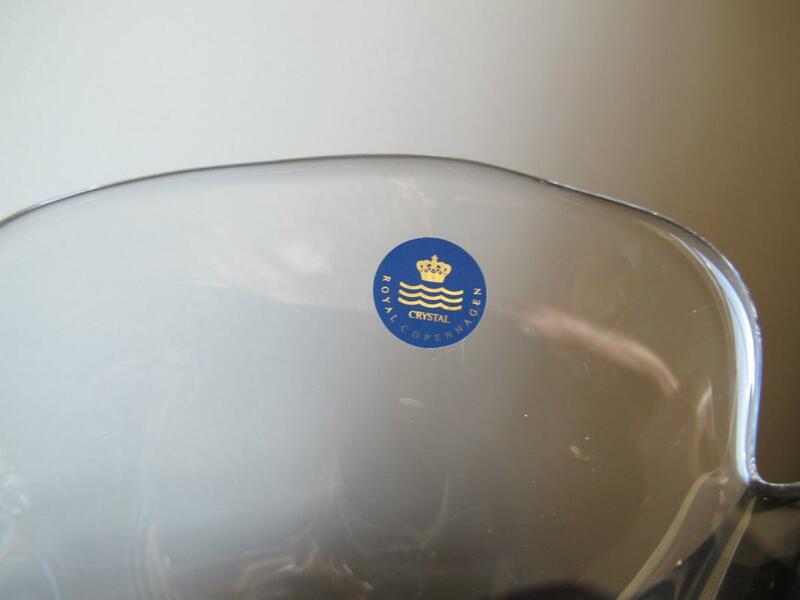 It has the original sticker. 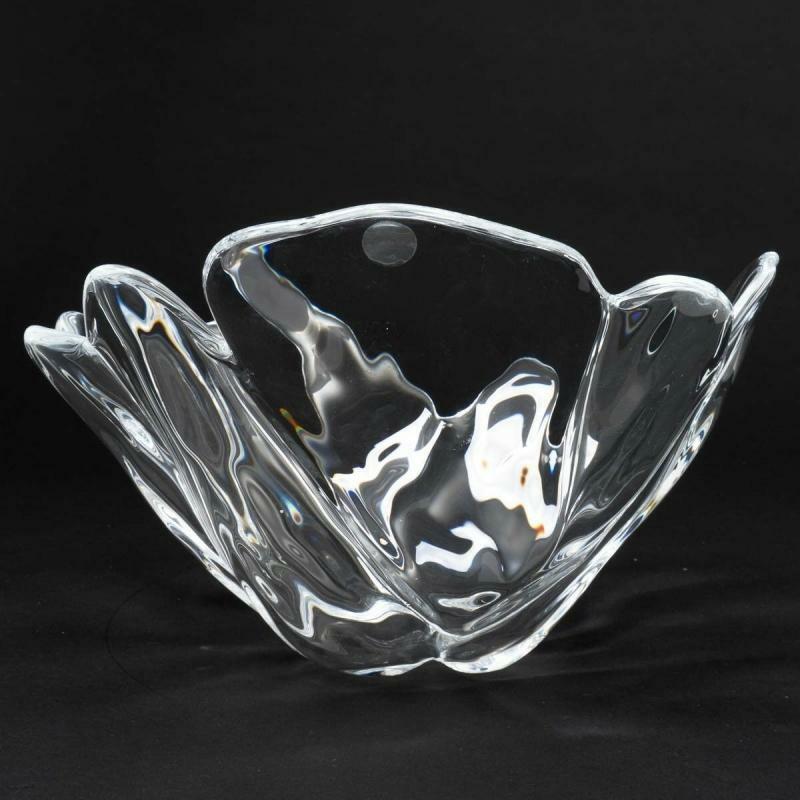 Reminiscent of a leaf, flower or shell, this lovely bowl measures approximately 11 1/4" length, 9 3/4" width x 6 1/2" tall.